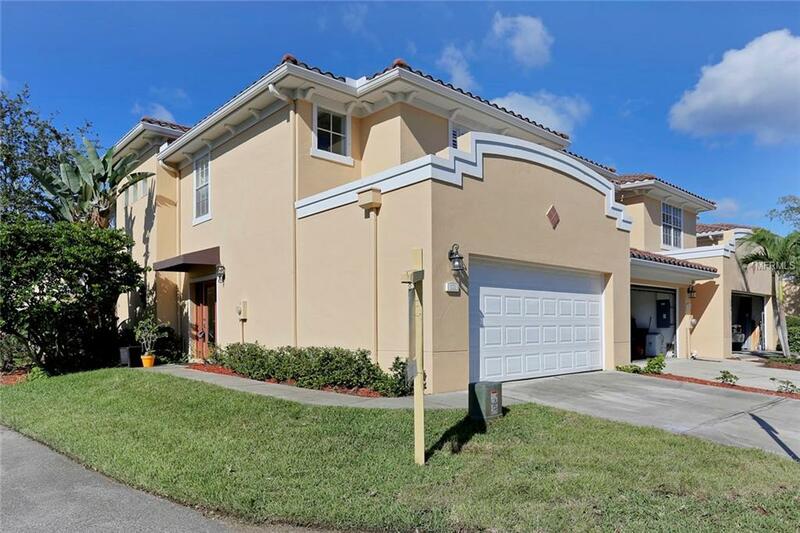 LOCATION, LOCATION, LOCATION!Great large end unit town home with 3 bedrooms, 2.5 baths and 2 car garage located in gated community of the beautiful Villas of Carillon. Boasting Italian porcelaintile floors downstairs, plantation shutters throughout, granite kitchen countertops in the kitchen along with breakfast bar, and brand new stainless steel Samsung kitchen appliances.The living room opens through french doors to a screened private patio. Upstairs, the master bedroom features its own private balcony with beautiful view and walk-in closet. The master bath has dual sinks with granite countertop, a separate shower and soaking tub.The laundry room is also conveniently located on the second floor of this wellmaintained home. Community features salt-water pool and gorgeous pool house available to residents for rent. HOA fee covers all ground maintenance, trash removal, water/sewer, exterior building maintenance, roof and flood insurance, etc. Easy access to I-275, US 19 and Tampa International Airport, as well as restaurants, shopping etc. (Publix, TransAmerica, Raymond James). Additional Lease Restrictions Buyer To Verify Leasing Restrictions: Hoa (Contact: Jennifer Savasta 813-433-2010) To Get The Latest/Updated Process For Rental Restrictions.